Come and enjoy the Garifuna experience with our friendly tour. There are so many things to see and do in Roatan, Honduras. 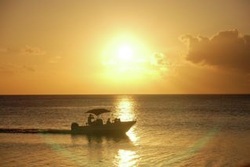 Tell us what you what interests you and we will treat you to a day exploring Roatan. Tour Duration: Up to You! But, rest assured, we'll get you back to your ship with plenty of time to spare.